Breathtaking views and incredible sunrises as you walk on the beach just steps away from your own beachside retreat. The longest of days melt away when such a picture perfect paradise awaits you. You can see forever from the direct oceanfront balcony of this 2 BR, 2 BA condo on the NO-DRIVE beach of Worlds Most Famous Beach. 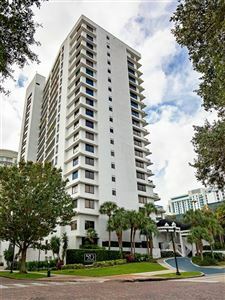 Located in the premier resort condominium - OCEAN WALK. Daytona's historical Boardwalk, Main Street Pier, Peabody Auditorium, Daytona Lagoon & the Ocean Center Convention Center are just steps away. The resort boasts 2 full-size outdoor swimming pools with a lazy river and water slide, poolside tiki bar, a kiddie pool area and 2 indoor pools and fitness center. Ocean Walk Resort also includes the Ocean Walk Shoppes with nightclubs, restaurants, shops and movie theater. Sleeps up to 8! Fully furnished including washer and dryer, dishes, linens, and all kitchen utensils and appliances. Rent your unit through an agent or on your own. This unit has a great, verifiable rental history. All this with 24/7 security and only an hour's drive to the Orlando attractions. Megan Dowdy Realty participates in the MFRMLS Internet Data Exchange (IDX) program, allowing display of other MFRMLS broker’s listings on this site. However, may not include all listings currently available. Information is deemed reliable but not guaranteed. Information last updated on 4/24/19 3:22 PM PDT.